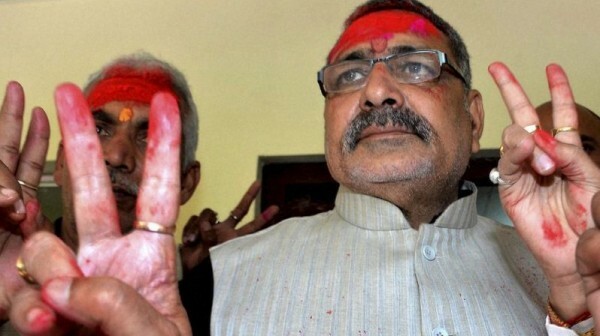 Doesn't mind blood on his hands: BJP's Giriraj Kishore. A Bokaro court Wednesday issued an arrest warrant against Bihar BJP leader Giriraj Singh for making a provocative speech. “An arrest warrant has been issued against Giriraj Singh by the court of Sub Divisional Judicial Magistrate Amit Shekhar. Police had moved a petition Tuesday in court seeking his arrest,” a lawyer said over the telephone. Two FIRs have been lodged against the Bharatiya Janata Party leader in Jharkhand. The first was lodged in Bokaro and the second in Deoghar district. Giriraj Singh had said that “those opposing (BJP’s prime ministerial candidate) Narendra Modi as the prime minister of India are supporters of Pakistan”. A police team has been constituted that will approach its Bihar counterpart to arrest Giriraj Singh.